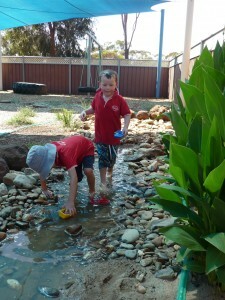 teaching is inspired by the Reggio Emilia philosophy. work together honestly to increase understanding, respect and knowledge. We believe that parents and family are the most significant persons in the child’s life. We strive to work in a partnership with the families to benefit the child. Our doors are open to families at all times and we encourage daily communication between parents and staff members. Parents and family members are encouraged to actively participate in our program. We believe that each child is a unique individual who develops at his/her own rate. We strive to provide culturally, linguistically, and developmentally appropriate programs that focus on the process of learning and help children enjoy successful experiences. We believe that an honest, stable, safe, healthy, comfortable, and culturally relevant environment is crucial to a child’s physical, emotional, social, cognitive and creative growth. We believe in positive guidance techniques. By establishing consistent, age appropriate limits, we help the children function in their world. Our programs are designed to develop in children a sense of independence, social competence, confidence and responsibility. Our goals are as follows; activities with children aim to be child directed, teachers assist in the facilitation of learning, we construct our classroom as a means for learning and we set up the classroom environment to allow children to explore, to question, to work independently, within a group or with an adult.